I've run into a problem with my TH30. It makes no sound whatsoever. No crackle, no hum (like it usually does a little), absolutely nothing. To set the scene: I was at rehearsal, everything worked fine. We took a rather long break, so I turned it off. We came back (it was completely cooled down), I turned it on (let it warm up) and nothing came out of it. Straight to the amp, nothing in the loop. No sound. Tried 2 guitars, 2 cables, tried the cab and speaker cable with another amp, both 8 ohm outs (separately of course), 2 output tubes or 4, half or full power. No sound. The problem is definitely the amplifier. Tubes are still stock after a little over a year (they worked perfectly fine up until today, no loss in tone), transportation is always gentle and it's taken good care of. Pre-amp tubes still light up as usual, can't see the power tubes or loop tube because of the metal cylinders around them (and I haven't taken out the chassis). My plan was to get new tubes at some point anyway (but you know, a pedal is more fun to buy than new tubes), but if it's not the tubes, it would be nice not to have to purchase tubes right now. It's still under warranty (and I'm aware that warranty doesn't cover tubes). I would take the chassis out, only if I knew how and that it wouldn't void my warranty. I doubt if tubes are issue since there is no sound coming from your amp at all. I had the same issue with my TH30 three years ago - I was playing a rehearsal in the evening, next day in the morning turned the amp on and it was dead quiet, even with master volume and gain at max on dirty channel. I took it to my local tech and the cause was something around output transformer (capacitors, anodes, whatever component - I'm no expert so I can't tell exactly). I paid very little money for the repair, so it could not have been anything really bad. Since your amps is still under warranty you should not worry. 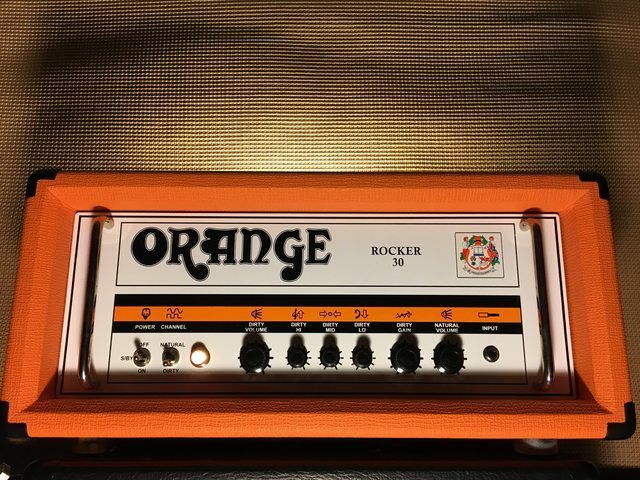 Just contact Orange amps, tell them what's going on and I'm sure they'll help since their customer service is top notch.